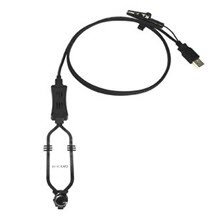 The World's Best Shadow Free Headlamp & HD Camera System! Extremely comfortable and light-weight, the Dr Kim Headset enables you to create your optimal working position with customised vision clarity diopters to suit all depths of vision. The Dr Kim Headlamp is brighter than the conventional headlamp and is powered by high-quality Li-on rechargeable batteries. More than 83,000 lights sold worldwide! Shadowless lighting significantly reduces eye strain by efficiently illuminating the exact area you are looking at. This increases comfort, enhances clarity and helps you be more relaxed so to work more efficiently! Dr. Kim Shadowless Headlamps are extremely comfortable, lightweight and produce shadow free chromatically correct white light. Also you can determine your most comfortable working position with customised diopters that optimise depth of vision. Dr. Kim Headlamps can also work through the lens loupes. Intensity is adjusted with a rolling on/off switch that automatically turns the light off when not in use. Wireless, they are powered by lightweight, high quality rechargeable batteries. Shadowless Dr. Kims are patented and the number one amongst headlamps! More than 83,000 lights have been sold worldwide over 13 very successful years. 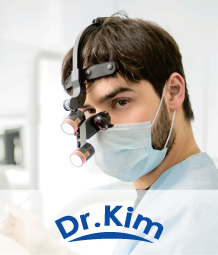 Dr Kim Headlamps Are Shadowless, Weightless, Wireless! With the Dr Kim HD camera and lighting system, shadows are minimised to make work easier for you and the recording better quality. Use your own recordings as a training aid. Record & document your work as evidence. See Like You've Never Seen Before!